In the Fall of 2016, the Diocese of Dallas and the University of Dallas Ann & Joe O. Neuhoff School of Ministry introduced the Certificate in Pastoral Ministry (CPM). 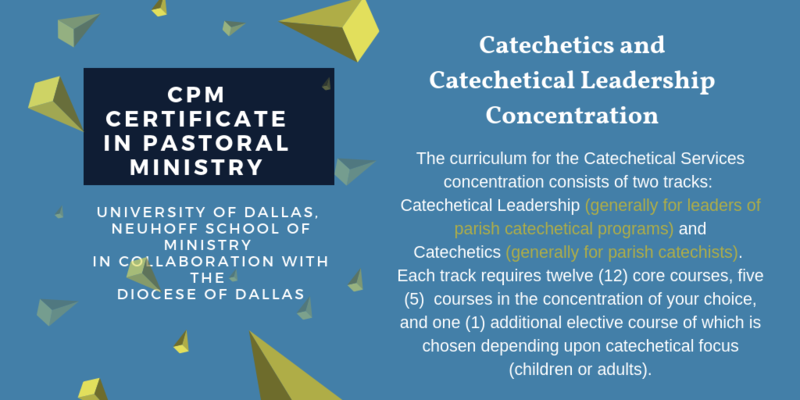 This new certificate program is a new pathway for catechetical ministers to receive certification as catechists of children or adults, or as a parish catechetical leader. The Continuing Catechetical Formation Program from the Department of Catechetical Services is still valid for the certification of catechists of children. 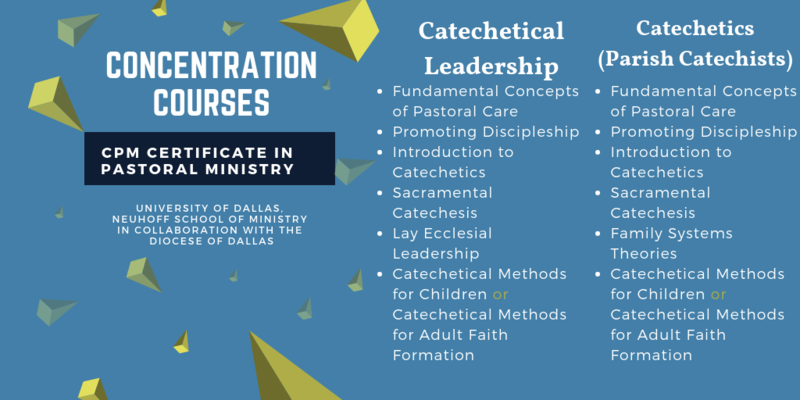 Parish catechetical leaders who are new or have not yet completed the Catechetical Leadership Formation Program (CLFP) will continue their leadership formation through the Certificate of Pastoral Ministry. 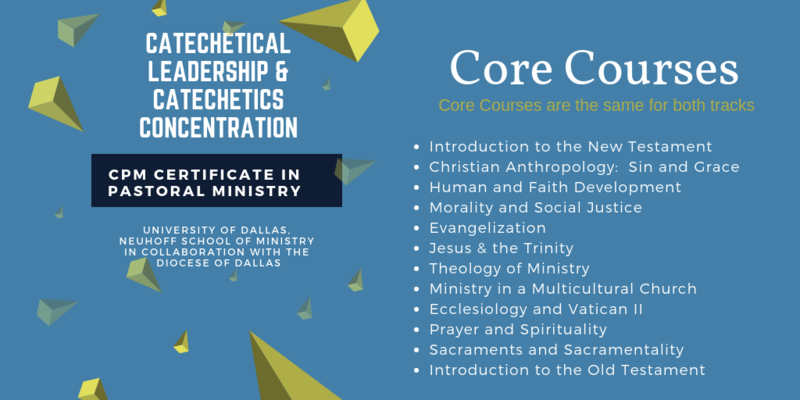 The new certificate program is offered in English and Spanish; it includes some core courses applicable to every minister and offers courses for an endorsement in a particular field of ministry. There are three different endorsements (or specializations) in the ministry of catechetics: catechist, catechetical leader, and adult faith formation. Members of parishes belonging to the Diocese of Dallas receive a special rate of $50/ class.